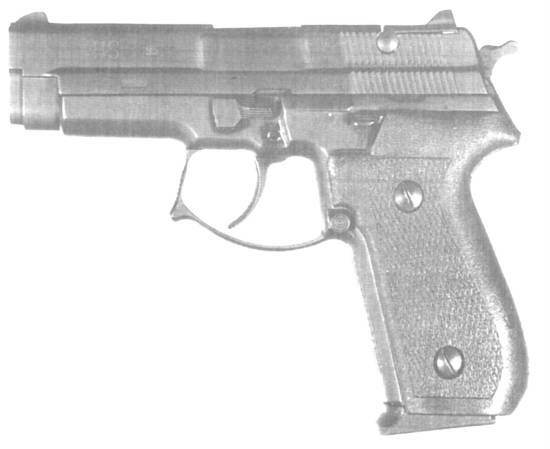 A semi-auto combat handgun (.9x19mm-Parabellum, 16-rd. magazine), manufactured by INTRAC, the Croatian company who gave to the US the HS2000 METAL MODEL pistol and its American copy, the SPRINGFIELD ARMORY XD-9. Not much is known about the HS95. It is based on the SIG-Sauer design and on its Yugoslavian copy, the Zastava CZ99, and it's in use with the Croatian army since the independence of that country.